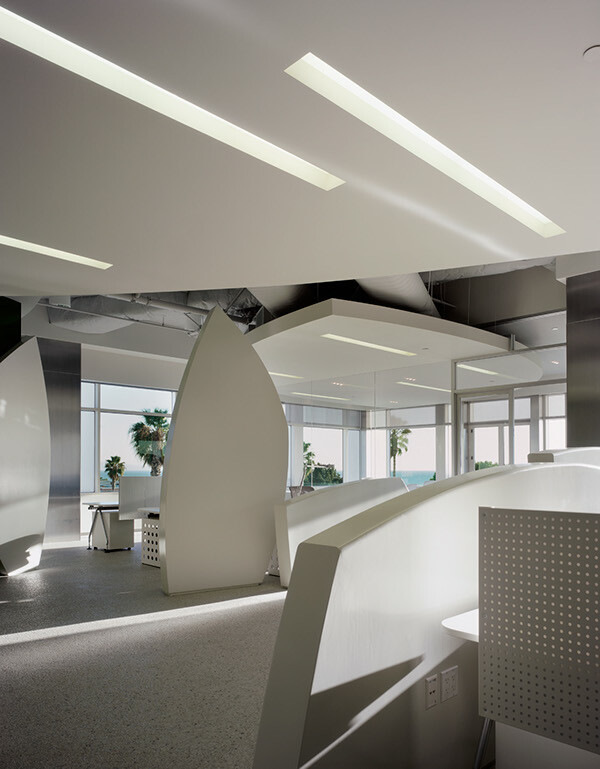 Oneof Los Angeles’ pre-eminent property developers, Maguire Partners, asked CWA todesign a surf inspired office space located one block from Santa Monica Beachwith dramatic ocean views. 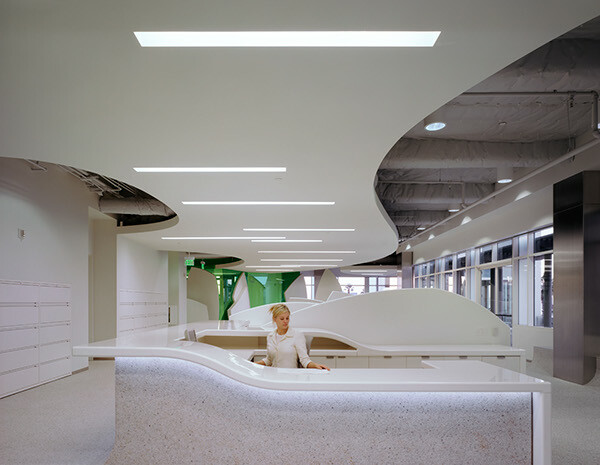 With a simplefunctional brief, CWA developed a vocabulary of undulating curved shapes toframe beach views and express the motion of water. 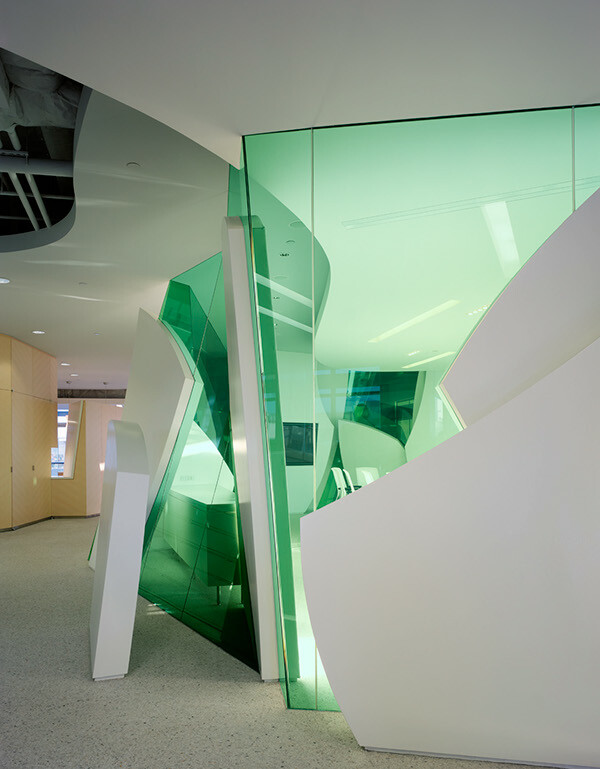 Anchoredat both ends of the space, the executive conference rooms are enclosed withglass shards and slanting walls. 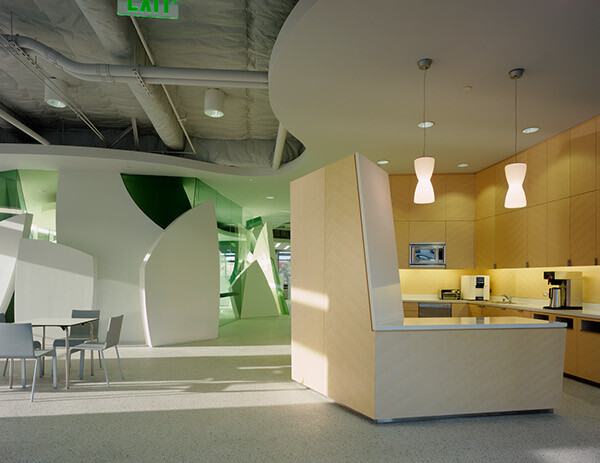 The expression of motion and energy is carriedthrough in the detailing of the floating ceiling and millwork. New CNCtechnology enabled the precise execution of highly complex and organicgeometries.